The HyPneu Simulation Manager (SM) module is designed for users who want to take their circuits to the next level. 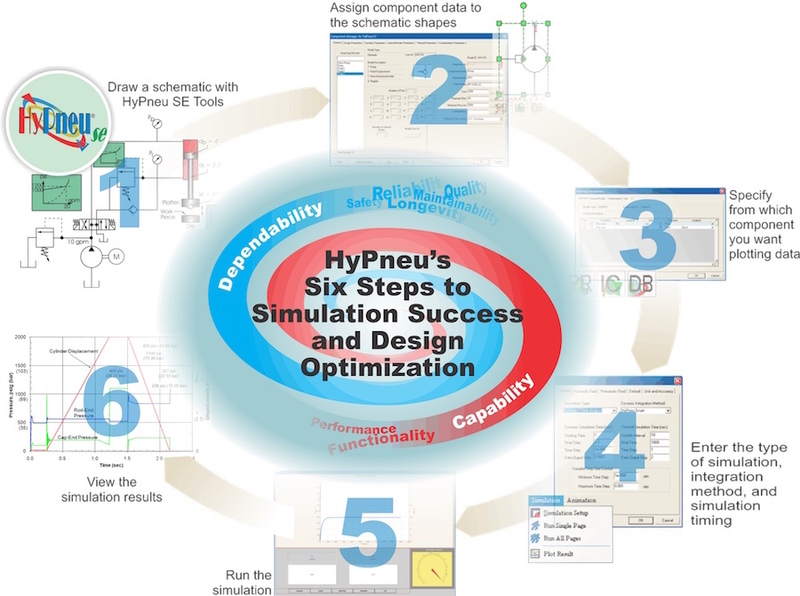 HyPneu SM can run simulations on the circuit design to determine if the design philosophy will work within their application. HyPneu SM uses a six-step process to help the user achieve design optimization.